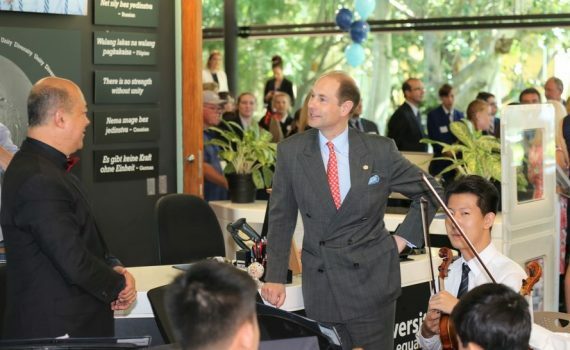 On Monday 16 April, the Lilley Centre hosted a number of Duke of Edinburgh’s Award recipients from across Brisbane who came to meet Prince Edward, here to carry on a royal tradition and plant a tree in our Boarders’ Lawn. 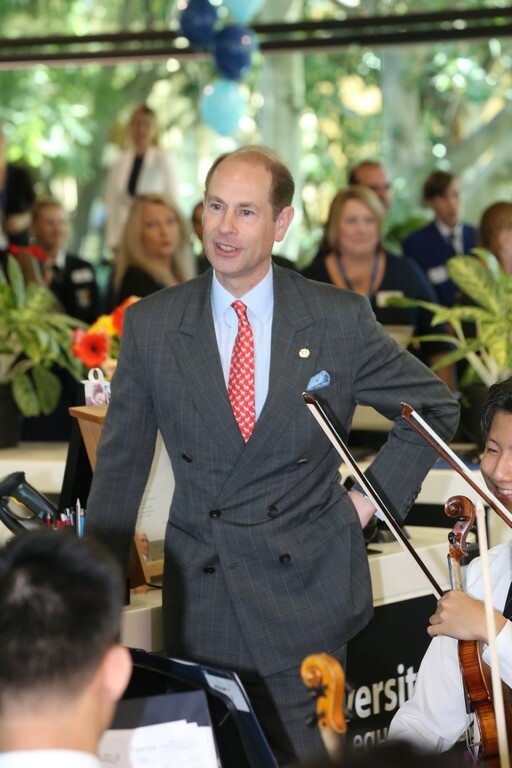 “His Royal Highness Prince Edward, Earl of Wessex KG GCOV, visited Brisbane Grammar School on Monday 16 April to continue a royal tradition at the School that has spanned three centuries. One hundred and fifty years ago, in February 1868, His Royal Highness Prince Alfred, who later became The Duke of Edinburgh, laid the foundation stone for the original Brisbane Grammar School building in Roma Street. When BGS was relocated to its current location in 1881, his nephews, Princes George and Edward, then 16 and 17 years old, planted two Moreton Bay figs to mark their visit to the colony of Queensland. George returned to Australia in 1901 to open the first parliament of the newly established Commonwealth. He was later crowned King George the Fifth and is the great-grandfather of The Earl of Wessex. The Earl’s father, His Royal Highness Prince Philip, Duke of Edinburgh, visited BGS twice: in 1968, to mark the School’s 100th anniversary, when he planted a Hoop Pine in front of Harlin House; and again in 1977, when he came and met The Duke of Edinburgh’s International Award participants in Centenary Hall. Using the same spade as his father did 50 years ago, the Earl continued the royal legacy at BGS, by planting a fourth ‘royal’ tree. As well as celebrating the School’s 150th year, the occasion also celebrates the important role The Duke of Edinburgh’s International Award has played at BGS and around the world. Prince Philip started The Duke of Edinburgh’s International Award in 1956 and today it continues to inspire young people to serve their communities, experience adventure, and develop and learn skills outside the classroom.